Clematis 'Louise Rowe' will display beautiful double, single and semi-double pale mauve 'ruffled' flowers at the same time during May and June, then single ones in September. This elegant, non-evergreen climber is always changing and would be ideal grown up a trellis, pergola, wall or fence, it would also be suitable for planting in a container on the patio. 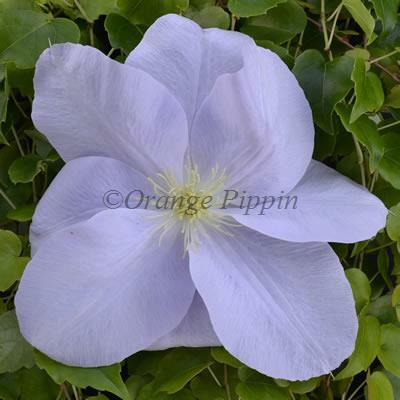 Clematis 'Louise Rowe' was raised by Jean B. Rowe of Norfolk, England and named after a younger member of the family.